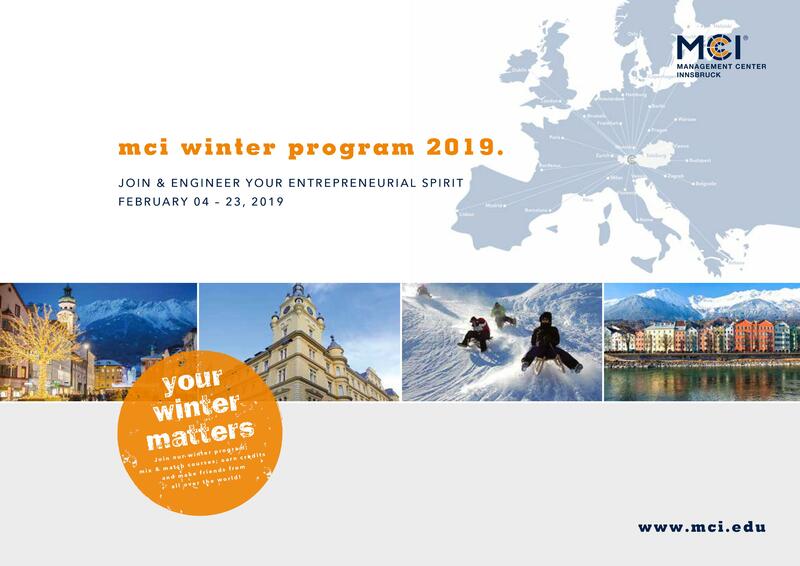 International University – Vietnam National University would like to announce the MCI Winter Program 2019 in Austria. 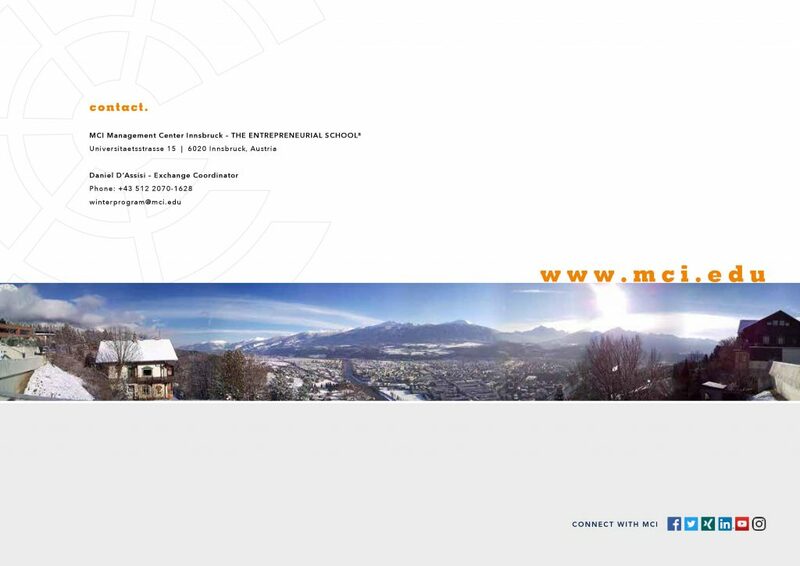 MCI winter program offers undergraduate courses with a focus on engineering and business. Students can mix or take discipline-related courses. In addition, courses involve lab work, site visits and blended learning. Target: Two years of discipline-related knowledge. 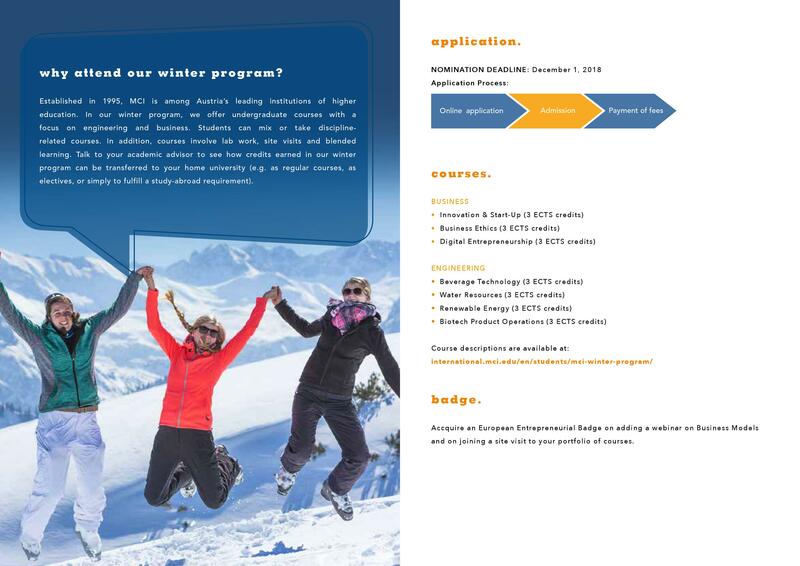 The winter program fee DOES NOT include airfare, visa, housing or any personal expenses such as meals. 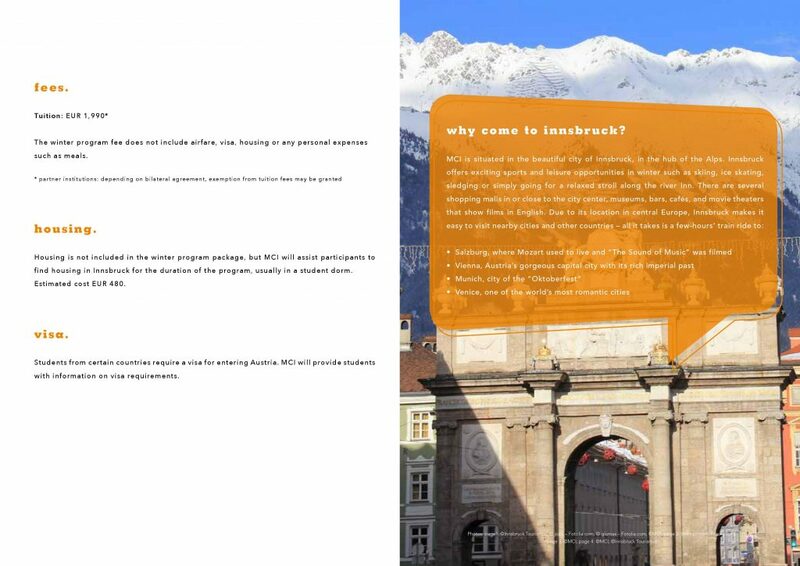 Housing is not included in the winter program package, but MCI will assist participants to find housing in Innbruck for the duration of the program, usually in a student dorm.